4P square interim managers are carefully selected marketing and sales specialists with an active knowledge in strategic marketing and sales. 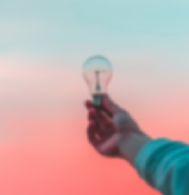 The interim managers are fully trained in our 4P square Masterclasses and receive support from a committed team of marketing and sales specialists. Do you seek interim management at its best? With our track record of successful assignments in top 1,500 companies in the Benelux, we are proud to achieve 90% customer satisfaction with 90% of our clients for over 10 years. Find out below which positions we can fill in for you. 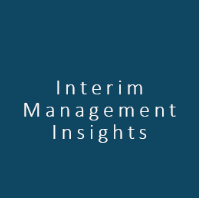 Interim management has become increasingly popular over the past decade. So what is it exactly that an interim manager does? What sets him apart from a strategic business consultant? And why would companies prefer interim managers over permanent employees? To top it all off, we offer you some tips and tricks for aspiring interim managers and starters. Ready? Go! We can help you expand your possibilities in a number of ways. Don’t need an interim, but an effective marketing & sales strategy to fulfil your business ambitions instead? Check out our Strategic Consulting offering and find out how we can expand your possibilities. Are you also looking for a high profile interim manager? With 4P square by your side, you have access to more than 1,000 professionals ranging from junior, medior, senior to executive levels in a wide range of sales and marketing services. Every interim manager is carefully selected and assessed for the job at hand. All our interim managers receive continuous training, coaching and mentoring. The 4P square proven methodologies, models and tools enable them to apply our standards of excellence to every project. 4P square has strategic and operational experience across various B2B and B2C sales and marketing fields. With hundreds of projects and extensions for over 100 clients, spread across 10 countries over the last 15 years, our interim managers always think ahead. Our interim managers are here to serve your business. Whatever you need, they will provide. No one-size-fits-all, but true custom-made solutions tailored to your business needs and budget.